"From the idea to the finished product, or: All-in-one inclusive labelling!" – is the mission statement of Fetzer Medical GmbH & C. KG, a medium-sized company based in Tuttlingen/Germany, which was established in 2008 by Peter Fetzer. 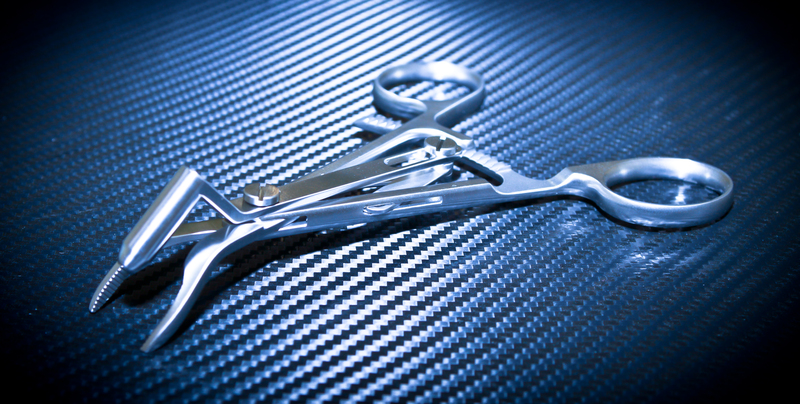 In order to build further on the family business' long-standing tradition in the development and manufacture of surgical instruments and medical devices, Peter Fetzer took the decision. With the stated aim of operating exclusively as an independent OEM, establishing all the necessary human and technical resources to that end, Fetzer Medical launched an extensive capital investment, qualification and certification programme, beginning its five-axis machining in 2008. This was rolled out with the stated aim of offering a flexible and swift approach to delivery for varying product and batch sizes. All relevant materials, including titanium, are machined and Fetzer Medical supplies its customers with ready-to-use products - from prototypes/individual parts to large production runs and complete systems. The business currently employs 45 highly-qualified employees and state-of-the-art equipment. 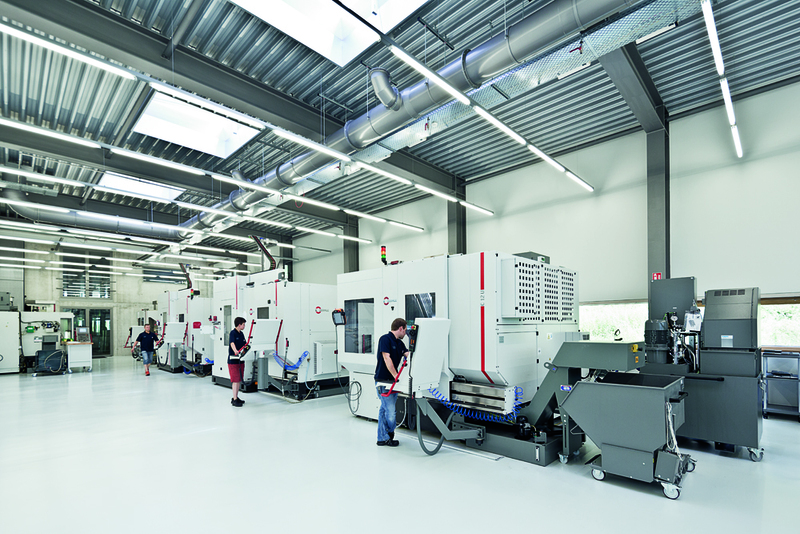 Roughly 75 percent of the work involves complex milling/drilling operations which have been performed at Fetzer Medical from day one using high-performance five-axis machining centres from Maschinenfabrik Berthold Hermle AG in Gosheim. Fetzer Medical production manager Bernd Zepf comments on the choice of Hermle machines: “The Hermle machines featuring a robust gantry design, the machine concept of three axes in the tool and two axes in the workpiece, which results in optimum tool accuracy, and last but not least excellent accessibility are ideal for five-axis complete machining in one or two setups. Further, our employees, including myself, had already had very good experience in the past with Hermle machines: their control and programming, their comparatively simple operator control, including responsive and highly competent service backup. That experience helped us to immediately get started with five-axis technology, which we launched in 2008 by acquiring a Hermle C 40 U high-performance five-axis CNC machining centre.” As the business flourished, capacity had to be increased, and a number of Hermle machining centres – some of them highly automated – were added. 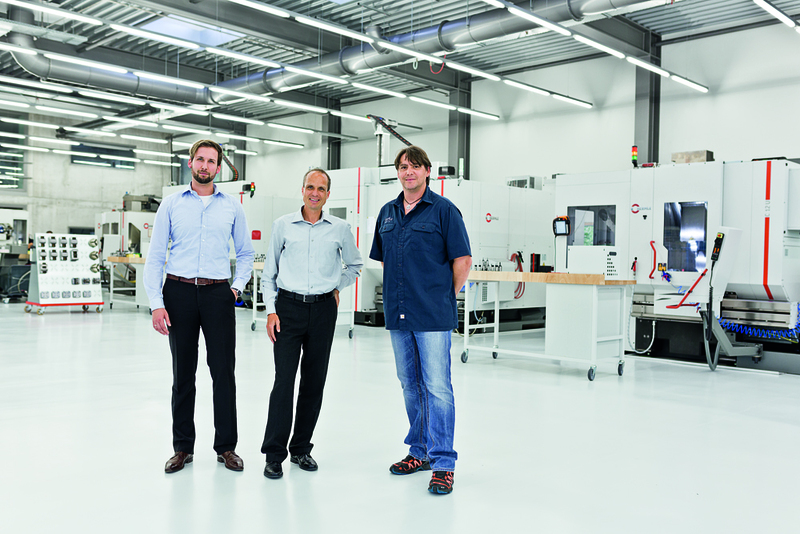 Fetzer Medical today runs five machining centres assuring the prompt execution of its OEM production orders. While the first purchased five-axis C 40 U machining centre was initially used to cement the business’ manufacturing expertise and add valuable additional know-how, the machine is now primarily used for pre-fabrication and for machining prototypes, samples and short runs. 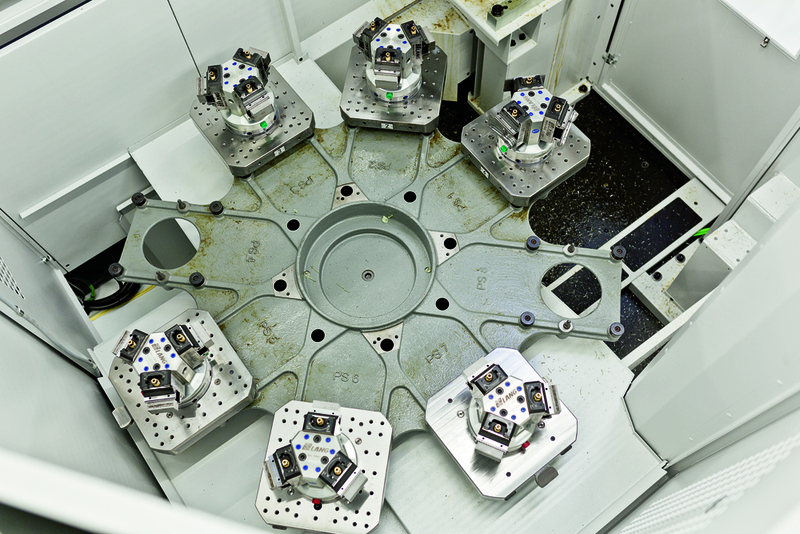 Additionally, two further C 22 U high-performance five-axis machining centres are equipped with 11-pallet changers/magazines of type PW 150, and are used for the automated flexible production of a wide range of components in runs of up to 300 pieces. A further automation level includes a C 12 U high-performance five-axis machining centre combined with an RS 05 robot cell for the production of modular designed scissors. 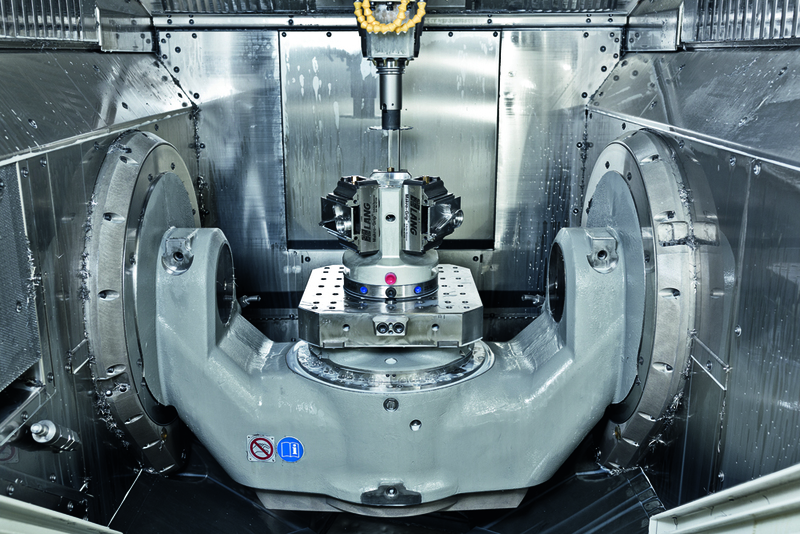 A C 800 V CNC machining centre was added to the range of Hermle machines to provide flexible and universal operation in pre-production, including making reference surfaces and jigs and fixtures. Since all the installed Hermle machining centres are essentially based on the same concept and on the same control and operating philosophy, operators are quickly familiarised with running the various machines, and staff confidence and acceptance of the machinery is enhanced as a result. This is definitely advantageous in terms of the productivity of the machines which are run basically in single-shift mode under operator control, though the aforementioned machining centres with the pallets and robot system do of course run overnight and at weekends for automated machine loading. These ‘hard facts’ are complimented by a number of ‘soft facts’ which are essential for the highly complex machining of surgical instruments and medical technology devices. 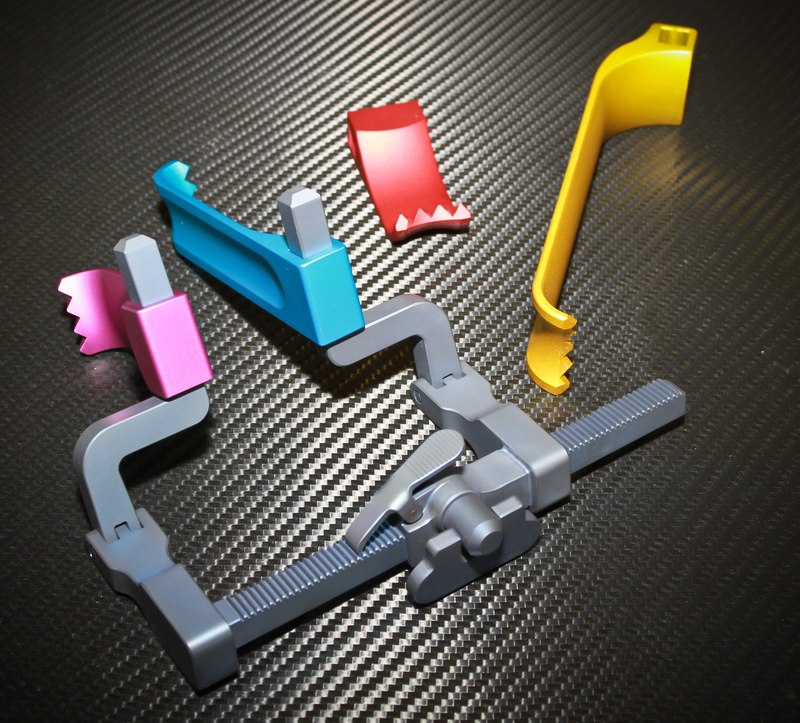 Since – according to specifications of EU and US institutions – production and quality assurance equipment needs to be fully validated and certified in the surgical and medical technology sector, it is a major advantage in terms of US certification that many US medical technology firms use already validated Hermle machining centres for their production lines. This also ensures simpler and faster validation cycles for Fetzer Medical, thus resulting in a faster time-to-market for the company’s customers.